During the ensuing years the Society continued to fight for Beacon Hill to be retained as a public open space and the fort itself preserved. In 1992 it was finally reported that repair work on the fortification seemed imminent. 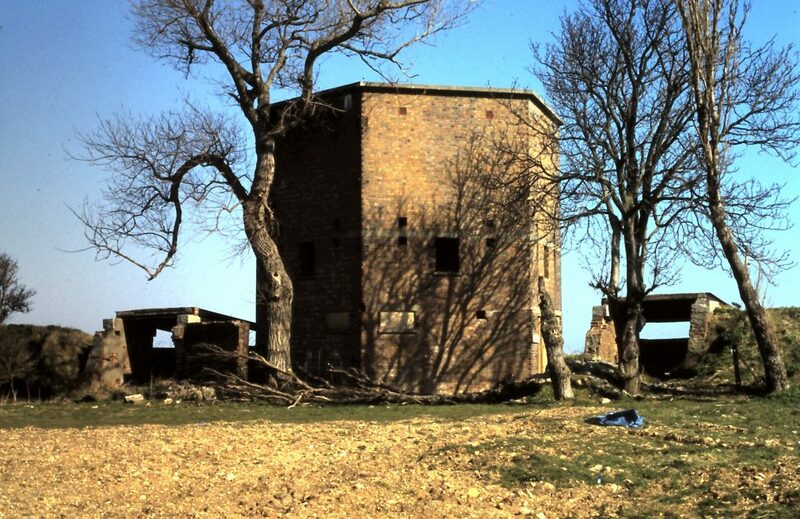 After site meeting between TDC, NACRO, English Heritage, English Nature, the Conservation Panel and the Harwich Society, work seemed likely to being on repairing and restoring the Radar Tower in January 1993. The Radar Tower was in the worst state as the foundations were collapsing on one side. It was considered to be of special interest since it was a good example of an early radar installation (built in 1941), the original scanners still being inside as they were too big to be removed. Radar was, of course, developed at Bawdsey Manor on the River Deben, a few miles north of Harwich, in the early years of the Second World War and the Tower was part of the scheduled ancient monument complex of Beacon Hill. 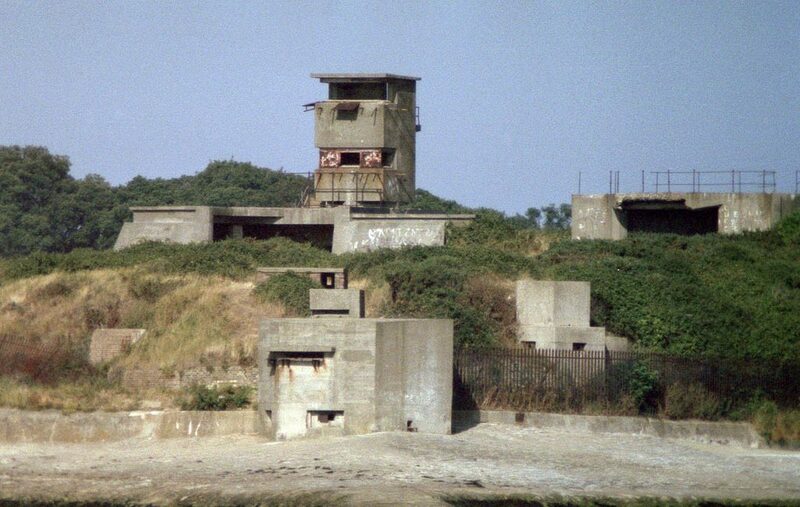 The Harwich Radar Tower built in 1941 was one of the earliest applications. Operated by the Navy (inside an Army fort) to detect German E boats attacking the poet or coastal convoys. The 15 foot scanners inside the building have been restored. Radar was developed at Bawdsey Manor on the River Deben in the 1930’s. Open to the public (£1 admission) on the first Sunday of the month, May to September. Open to groups by prior arrangement (phone 01255 502872 or email info@harwich-society.co.uk) at any time. The estuary at Harwich formed by the rivers Stour and Orwell is the only safe natural harbour between the Thames and the Humber. Therefore it has been vital in Britain’s East Coast defences for several hundred years.The fort was designed to be relatively inconspicuous from the seaward side and landward defences were earthworks and fencing. This profile changed during World War II (WWII) when Battery Observation Post towers were constructed. The fort initially had two breech loading guns (one 10″ and one 6″) mounted on disappearing carriages which allowed reloading under cover, two 4.7″ quick firing guns to combat fast torpedo boats and two 3 pounder guns which provided flanking fire. 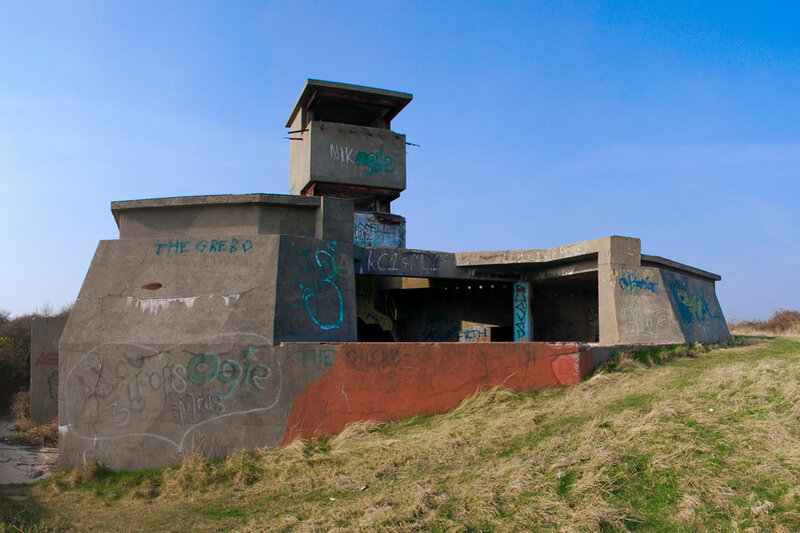 Rapid changes in military technology between the end of the last century and WWII resulted in numerous alterations to the Armament of Beacon Hill Fort, and some of the emplacements exhibit at least three major phases. At the turn of the century, a 6″ quick firing gun was added to the Fort’s new northern extension, only to be replaced during WWII. The last major addition was the construction of the Cornwallis Battery, the twin 6 pounder built in 1941. The larger guns have concrete anti-aircraft covers (Casements) added during WWII, one of which had a Bofors anti-aircraft gun on top of it. Additional anti- aircraft fire was provided by at least three Lewis guns. Four spigot mortars and five pillboxes provided ground defence. 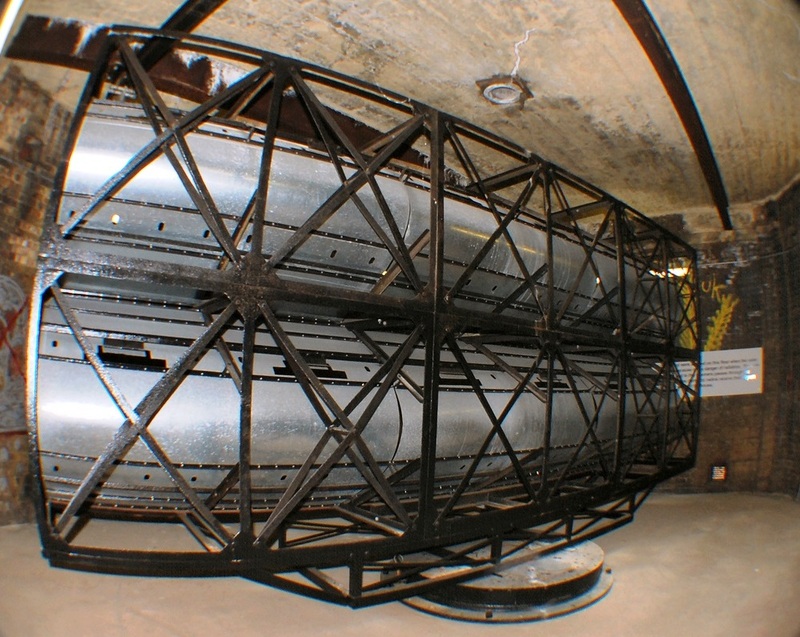 The larger guns have dedicated subterranean magazines, each with separate storage areas for shells and cartridges, the latter of which were extremely volatile. Light was initially provided by lamps placed in recesses in the walls, which were glazed to prevent sparks igniting the cartridges. Electricity later replaced the lamps. Some magazines had mechanical hoists of various designs to transport the heavy ordnance directly to the gun emplacements. There were two smaller magazines probably for storage of ordnance for small arms. Such a large defensive coastal battery required a substantial support structure, and this is evident in many other structures at Beacon Hill Fort. Observation and fire control towers, shelters, a guardroom, storerooms and two engine houses providing power for the whole fort. During WWII, two fixed and several mobile searchlights were placed along the seafront. The Beacon Hill area has been the subject of great debate over the years as to its usage, however nothing has come of this and the site falls into greater and greater disrepair. Attempts have been made to limit access to ensure the survival of the buildings but the lack of funding and therefore fencing makes this an almost impossible task. The site is too attractive as a playground for children and acts as a ‘magnet’ for those bent on graffiti and vandalism. The site now in private ownership and being renovated.